Dyal Singh Evening College is the first co-education evening college in Delhi University. Established in 1958,the college serves the best of student’s satisfaction with full connectivity by bus as well as metro. 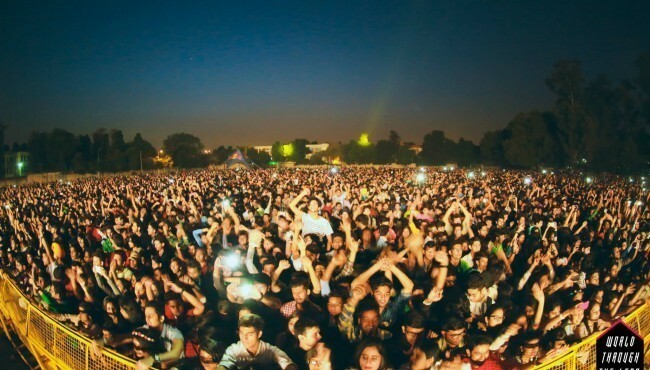 The college campus is centrally located adjacent to Lodhi Road and Jawaharlal Nehru Stadium. The Indian Habitat center is an additional attraction for the students to hangout with friends. At the entrance of the college stands the statue of the greatest son of Punjab Sardar Dyal Singh Majitha. His statue time and again makes us feel his importance in building up this college with the great will of him. The college has a spacious campus ,extensive lawns and big playgrounds at both the ends. The main building has a well stocked sports room towards the right end of the building and towards the left there stands the principal office,administrative office and well structured seminar room.To the extreme left of the main building ,college has its auditorium in the second floor which is often used for theater performances and various cultural activities. The Amphitheater of the college is one of the serene place to sit with friends in large numbers, where students seem engaged in various activities in the lap of nature. Located in front of the new rooms section of the college has an amazing library well stuffed with books ranging from pre-historic times to the modern age. The college has its canteen at the back end and in front of the football ground ,which offers food and drinks at reasonable rates. The college too has a Girls Common Room(GCR) in the first floor of the main building that provides the accurate place for girls to gossip and do whatever they wish to do. At the left side of the amphitheater the college has an Art and Culture room which is beautifully painted by the artists belonging to SPANDAN ( Art and culture society). The association includes different teams like RISHABH(music), CYCLONE(western dance), PHULKARI (folk dance), JUNOON (drama) , AAKRITI (fine arts) and KADAM (theater and film society) which coordinate to organize the Annual Festival of the college ‘ RAJNIGANDHA’ . These various teams also participate in various competitions held in other colleges of Delhi University and other universities across the country. Besides this, college too has an active NCC and an NSS unit along with different departmental societies which organize enriching events throughout the year. One must surely check in to the college once to watch over how an evening college runs with proper discipline and great ardor . The spacious campus, the scenic beauty and the well behaved crowd make the college so precious for the DSEC students ! Previous articlePaigaam StreetPlay Fest SBS College, Be There!